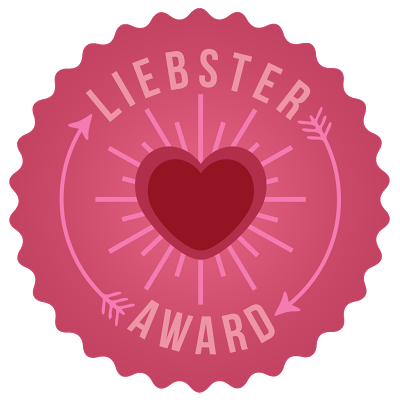 'Liebster' means favourite in German, and the idea is to nominate blogs that you love that have 200 followers or less. Once you've been nominated, you then follow the rules and pass it on! 1. I love anything vintage inspired. 2. I went to Durham University. 3. I'm not a thrill seeker yet I've been whitewater rafting, hovercrafting and skiing! 4. I love New York and Italy. 5. I have over 40 candles in JUST my living room. I love them. 7. I've never seen a kangaroo. 8. I was on the television when I was 3. 9. I have bad anxiety about most things. 10. I own a Zorbing Ball. 11. I can't watch a film without falling asleep. 1. What is your favourite and least favourite part of blogging? My favourite part of blogging is finding more blogs to read and getting to talk to new bloggers! My least favourite part of blogging is when I have to go to work and can't blog! Kind of, I think if you do something that's not nice, you shouldn't expect nice things to happen to you. 3. What's your biggest fear? Staying at my house by myself, why do all the noises start as soon as your alone?! 4. What 3 things do you love about yourself? I like that I love giving people presents, I get a lot of pleasure from finding the perfect gift and seeing the reaction of the person I'm giving it to. I also like that I love cooking and baking, it's my passion and would cook all day everyday if I could! Finally, I love how clever I am with money, save where I can but spend when it's necessary. 5. If you could be anywhere in the world with anyone right now, where/who would it be? I would be at the Ice Hotel, watching the Northern Lights with my partner, Tom. 6. What is the thing you most want right now? Other - To have all my family together again (I don't live at home anymore and my brother is at University). I was at my friend's Hen Party, we went to a Spa Hotel that had small apartments you could stay in. I didn't know that many people there, so started to mingle. There were laminated floors throughout the apartment, I went to go upstairs and slid on the floor, banged my head on the stairs and fell on the floor! I was so embarrassed, it was worse because I didn't know anyone! I love any chocolate but if I had to chose - Cadbury! 9. If you could only shop in one shop for the rest of your life where would you shop? If money was no object, Next because I love their clothes and their range would carry me throughout my life. 10. Favourite nail polish colour? 1) Who/what made you want to start blogging? 3) What's your best piece of advice? 4) What's your best attribute? 5) What's your worst habit? 6) High heels or flats? 7) What's your favourite small business? 8) What/who inspires your blog posts? 9) If you had a time machine where would you go? 9) What would your top 5 beauty products be?